Our community wellbeing researcher, Andy Pennington, research fellow at the University of Liverpool, explains what we mean by co-production, or joint decision-making, and why we’re launching a call for your evaluations as part of our review into its wellbeing impact. You can also read the scoping review on joint decision-making and community wellbeing . In the aftermath of the Grenfell Tower disaster it quickly emerged that residents’ concerns about safety may have been ignored by public authorities, with potentially terrible consequences. This has drawn into focus the importance of listening to communities and of involving them in decisions that affect their living conditions. While there is plenty of activity demonstrating awareness of the importance of communities being partners in decision-making, there’s a large evidence gap when it comes to knowing if, and how,such activities impact on the wellbeing of those communities, and the individuals in them. Consider this: from nearly 5,000 documents identified in our scoping review, just three reviews included relevant evidence on the wellbeing impacts of joint decision-making interventions in communities of place. We think this evidence gap may be partly due to confusion about what genuine coproduction or joint decision-making is and how it relates to claims about community empowerment. Simply being engaged in a community decision-making process is not the same as jointly coproducing decisions. We also found that even when people appeared to be involved in genuine joint decision-making, wellbeing impacts, including sense of empowerment, were rarely evaluated**. 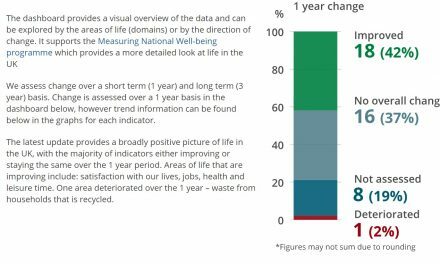 It’s very clear that we need more wellbeing-focussed evaluations of community-based joint decision-making. We carried out a scoping review of review-level evidence exploring the links between ‘co-production’ in local decision-making and community wellbeing, looking specifically for evidence in place-based communities. As well as looking at the published research, we also talked to experts on empowerment..
We found just eight relevant individual studies that were buried within 3 generic reviews. These studies presented evidence from community and stakeholder involvement in the design, governance, or delivery of urban infrastructure and regeneration projects. The projects were based in poor communities in the UK, US, Israel, Togo, Indonesia, and Brazil. The studies found that increased levels of joint decision-making were associated with beneficial changes to levels of depression, sense of community, social capital, partnership working, adult skill development, leaning and training, and individual mastery, self-esteem, and sense of empowerment. There was also evidence showing that increased joint decision-making was related to increased levels of employment, childhood vaccinations, and provision of water and sanitation services. Only one study looked at wellbeing inequalities (between disabled and non-disabled people). No evidence was found on how impacts may vary across gender, race, religion, sexuality or other groups. It is important to note that two out of the eight studies reported potentially harmful associations between joint decision-making and wellbeing including fatigue, distress and frustration arising from the strain of sustaining joint decision-making. We also found that this limited evidence was founded on weak study designs, making it hard to conclude that the changes reported were actually caused by the interventions. improve study design by incorporating comparison groups within evaluations. plan longitudinal research that looks at changes over time to develop a more compelling evidence base. The next stage of our research will involve locating all of the primary evaluations of community wellbeing and wellbeing inequality associated with joint decision-making interventions. We’ll be searching books, journals and websites, but we know that important evidence may sit with community organisations who have evaluated their own interventions, but may not have published them. Please take a look at our call for evidence, and if you know of any evaluations, or people who may be conducting them, let us know. *Examples of systematic review level evidence: (a) Theorell T, Hammarström A, Aronsson G, et al. (2015) A systematic review including meta-analysis of work environment and depressive symptoms. BMC Public Health. 15:738. (b) Shay L, Lafata J (2015) Where is the evidence? A systematic review of shared decision making and patient outcomes. Medical Decision making. 35(1):114-31. (c) Durand M-A, Carpenter L, Dolan H, et al. (2014) Do interventions designed to support shared decision-making reduce health inequalities? A systematic review and meta-analysis. PLOS ONE. 9(4):e94670. (d) Whitehead M, Orton L, Pennington A, et al. (2014) Is control in the living environment important for health and wellbeing, and what are the implications for public health interventions? Public Health Research Consortium: London. ** Examples of systematic review level evidence: (a) O’Mara-Eves A, Brunton G, McDaid D, et al. (2013) Community engagement to reduce inequalities in health: a systematic review, meta-analysis and economic analysis. Public Health Research. 1(4). NIHR Journals Library: Southampton. (b) Jenkinson C, Dickens A, Jones K, et al. (2013) Is volunteering a public health intervention? A systematic review and meta-analysis of the health and survival of volunteers. BMC Public Health. 13:733. PreviousAcademic perspective: When communities of place become communities of interest: the magic catalyst of community wellbeing? NextJob-related learning: who benefits, and how much?